There are a lot of death stories out west, up and down the coast, in the sea and inland we are hearingtales of animal deaths. The amount of accumulated pollution, on both land and sea, is astronomical, with a heavy lacing of heavy metals—mercury, a severe neurological poison—is everywhere interfering with biological life. 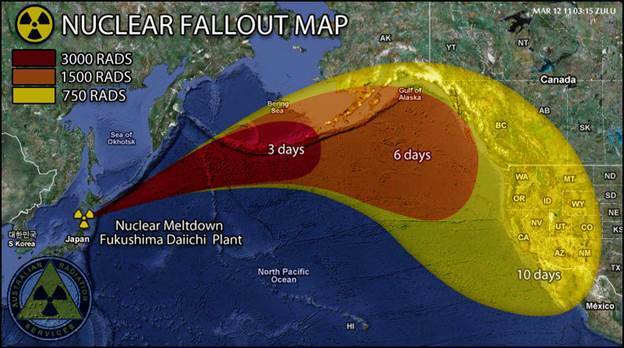 However, since Fukushima a bad situation has gotten significantly worse. 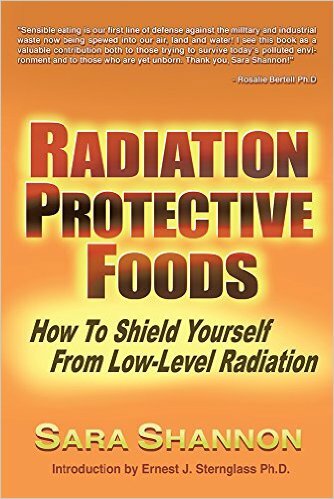 “Nuclear radiation –which threatens life on planet earth–, is not front page news in comparison to the most insignificant issues of public concern, including the local level crime scene or the tabloid gossip reports on Hollywood celebrities.” The most recent news from Fukushima: It has released13,000,000,000 times more neutrons than initially estimated — “Obvious implication for human health” — Gov’t: “Neutron radiation is the most severe and dangerous radiation” known to mankind; Can travel great distances.” Has any government stepped up to the plate to warn its people about the increasing radiation dangers so they can do something to protect their children? Everyone knows the answer to this! One form of radioactive Iodine lasts for 16 million years. It decays into radioactive Xenon 129sometime during these 16 million years. Xenon 129 gas causes lung cancer. This Xenon 129 then decays into radioactive Cesium, which also causes different kinds of cancers and heart problems, while destroying the immune system, among other things. Learn a system of medicine that is safe, simple and affordable.